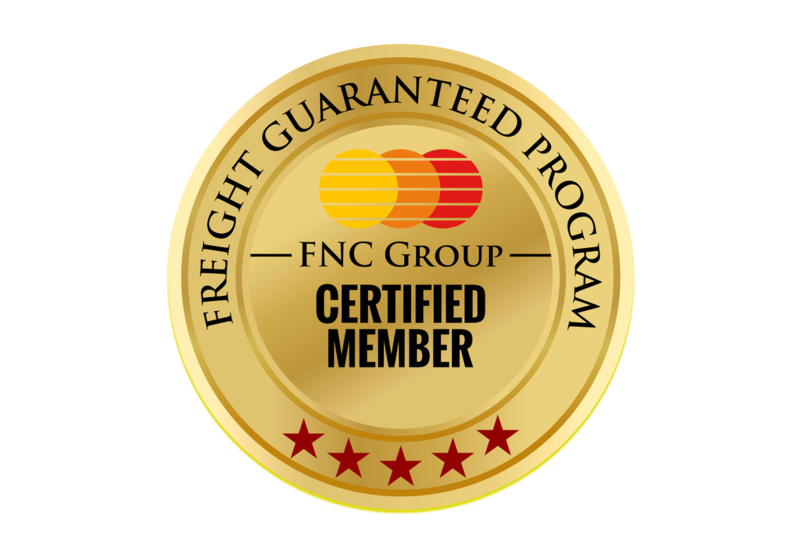 Welcome to the Freight Network Corporation, where we're dedicated to helping members of the freight industry succeed in a global marketplace and a fast-paced cargo network. The Freight Network Corporation Group, also known as the FNC Group, has over 400+ members, located in 325 cities in over 100 different nations across the globe. When you join, you’ll have instant access to our network full of reliable and proactive forwarders. For years we have worked hard to keep the global network growing with motivated and driven members. With this unique network (and all the relationships you'll build once inside), your company will thrive. You will also learn how to effectively use the group’s flexibility to boost profits as you find out new and helpful forwarding trends. Networking Opportunities – allowing you to connect with valuable contacts. Gain Visibility – putting your organization at the forefront of the industry. New Partnerships -- getting instant access to global partners that are verified. Business Growth – lowering your costs and increasing vendor choices. Extra Support -- meeting high quality standards and industry interoperability. Rare Innovation – exploring new ways of approaching common business goals. As you probably know, you simply cannot afford to lose business due to unprofessional operations from an overseas partner. That's why we created the FNC Group in the first place. Because when you become a member, you'll receive excellent support, and be introduced to trustworthy agents all over the word. You'll also get an invitation to attend the annual FNC Group conference where you can meet everyone in person. You'll also receive payment collection support services. And, you'll enjoy improved visibility online, along with better search engine rankings for your website. Your company will even be listed in theMembership Directory as well as cargoweber.com. In a fast-paced business world, companies are always seeking reputable, qualified partners; together, however, companies can unite to deliver freight transport offerings that once combined are greater than the sum of their parts. There is power in collaboration and at the Freight Network Corporation, we're firm believers that we can achieve greater success when we unite and form partnerships with fellow companies. Leaders and organizations are beginning to acknowledge that even their best individual efforts can’t stack up against today’s complex problems. They are putting aside self-interests and collaborating to advance their shared objectives. Why collaborate, you ask? Because you'll be able to effortlessly gain technological advancement at a relatively low cost. You'll gain market access at a low cost as well, plus, receive remarkable insights into other business practices and strategies. You can further strengthen your competitive advantages and core competencies, too. The benefits of becoming a member are absolutely immense as they let you form special partnerships with individuals with diverse skill-sets. Allowing you to accomplish a variety of difficult tasks. A solid and competent team can accomplish much more than any one person alone undefined helping you keep up with a marketplace that moves extremely fast. As our network grows, our vision grows, and each day brings us closer to our goal of dominating the global cargo forwarding industry. We seek out the most qualified independent freight forwarding companies to join our exclusive network in order to create mutually beneficial partnerships and collaborations. The FNC group only works with trusted and screened members. We conduct an in-depth review of each applicant to ensure the company meets our standards. All members are carefully vetted and must pass stringent entry procedures in order to be selected. Our team guarantees the quality of each and every company. This allows anyone within the network to operate in security, and with complete confidence, knowing that their partners are equally dependable and professional. So, what are you waiting for now? If you’re growing your forwarding business, and want to make more money, then you cannot afford to bypass working with a professional and global network like ours. You have nothing to lose and everything to gain! SIGN UP TODAY TO FINALLY GET STARTED!